When you’re about to embark on ambitious new adventures in broadcasting, but on a shoestring budget, it’s helpful when the stars, technology and history align in your favor. This is pretty much the case for Honolulu-based Oiwi Television, the first, native Hawaiian-language cultural, TV and media enterprise, which set sail in 2009. Oiwi TV uses Square Box System’s CatDV media asset management (MAM) system to wrangle a large and, thanks to an on-going ocean odyssey project, a rapidly expanding volume of assets – all destined for short, medium and long-form programming. Oiwi TV not a typical linear broadcast TV station. Rather it’s an online interactive digital channel, with a 15-strong team delivering cultural, environmental, educational, music and entertainment news and documentary packages across on-demand, web and social media platforms. The service is fast. By dint of their topography and mid-ocean locations, the Hawaiian Islands have, over time, been used as the test-bed by companies such as Oceanic Time Warner Cable and speedy optical-fiber networks now exists across the State of Hawaii. For the first four years of its life, Oiwi TV focused on creating and delivering a range of local news and documentary programs, acquiring 50,000 viewers along the way. 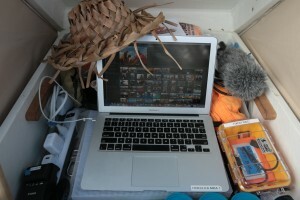 However, in 2014, the channel dedicated substantial production resources to covering the Mālama Honua Worldwide Voyage. 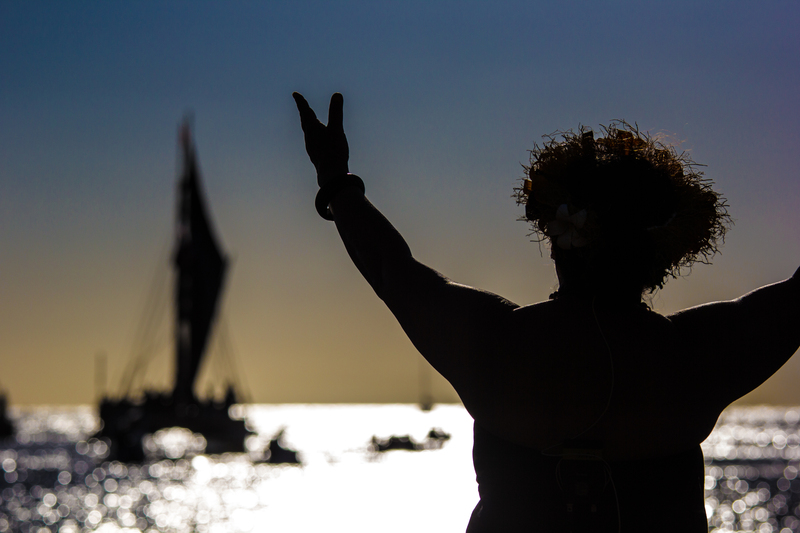 Organized by the Polynesian Voyaging Society, in collaboration with Oiwi TV, the waterborne odyssey is circumnavigating the globe – aboard the double-hulled Hōkūleʻa canoe – carrying a message of “Mālama Honua: Caring for Our Island Earth”. In the face of the continual degradation of land and oceans, the mission is to perpetuate the art and science of traditional Polynesian voyaging, via experiential educational programs for students and their communities, so that ancient wisdom might inspire contemporary solutions. The first leg of the epic voyage, from January to November 2014, took in 90 different ports and islands scattered over the central and southern Pacific Ocean from Hawaii to New Zealand. Footage from this journey – shot by Oiwi TV crew, and amounting to 18Tb of RAW material, captured using special DSLR and GoPro rigs – has been managed on the water by two CatDV MAM systems in combination with Adobe Premiere editing systems. Lee says he first discovered CatDV via JB&A, Square Box Systems’ North American distributor, at NAB 2013. “We were growing in size and scale, and developing an ever-growing inventory of media assets. But, we became increasingly uncomfortable by the thought that knowing the storage location of media assets came down to the information stored in people’s heads. We had a basic folder system in place and could reference media, based on time/date metadata. 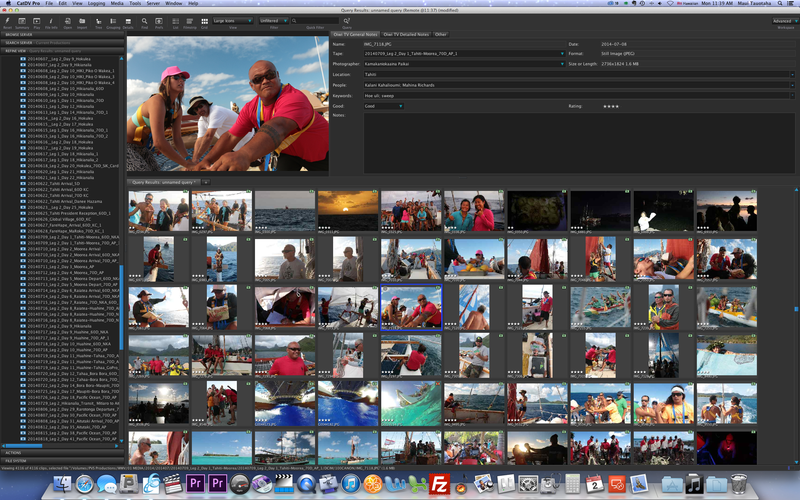 But with four years of materials already accumulated, and the Mālama Honua Worldwide Voyage on the horizon, we realized that we needed something much more robust, with more features and capabilities to ingest, log, tag, manage and turnaround the boatload of footage that was coming our way. Consulting with JB&A and Square Box Systems, Oiwi TV purchased and installed CatDV server with a Worker Node, running on a Promax 64Tb X-San Server, along with ten full CatDV licenses. 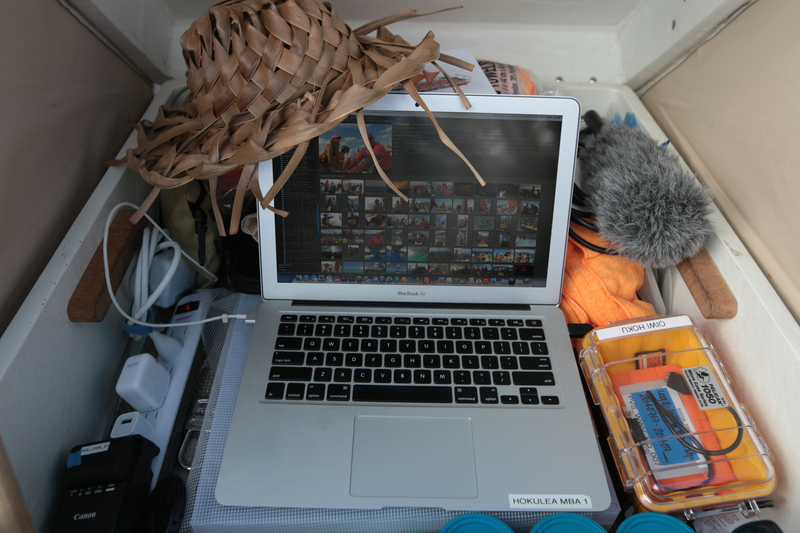 Two of the CatDV licences are integrated with Adobe Premiere edit bays on-board the canoes following the Mālama Honua expedition, whilst the remaining CatDV equipment is installed at homebase in Honolulu. Lee says that while the introduction of CatDV has created new opportunities for Oiwi TV to create fresh programming for the channel, the Mālama Honua Worldwide Voyage has also demonstrated its strengths to get programs to air quickly and efficiently. On-board the support canoes, the production team reference a two-page laminated sheet of keywords, pre-programmed across all CatDV systems. This helps to expedite logging, and ensures accuracy for media management and searching later on. 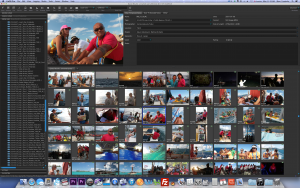 RAW footage is ingested into CatDV as low-resolution proxies, and logged and tagged with the keywords into separate catalogs, dependent on the different shoots and locations of the voyage. 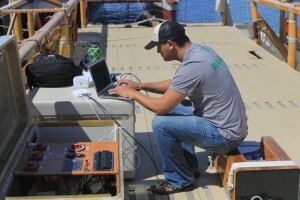 Using an on-board satellite connection, these catalogs are emailed to the Oiwi team in Honolulu, allowing the editorial team to both keep a track on the assets and start the editorial process. When the first leg of the Mālama Honua expedition ended in New Zealand in November 2014, the full RAW media was flown back to Honolulu on hard drives and ingested via CatDV to the server. From here the editorial team was able to quickly relink the RAW footage to the EDL in Adobe Premiere, and to fine-tune the edit. Oiwi TV turned around two hours of programming – 4 x 30 minute programmes – in under a fortnight. In fact, one offshoot production, a 30-minute episode for the local NBC/CBS affiliate Hawaii News Now, was completed in just two days. Lee says that the ability to work with low-resolution proxies is one of the best features of CatDV, “as it frees-up our online storage from the heavy RAW files. This, plus the robust metadata capabilities, mean we have great flexibility and new opportunities to create programming in the future.